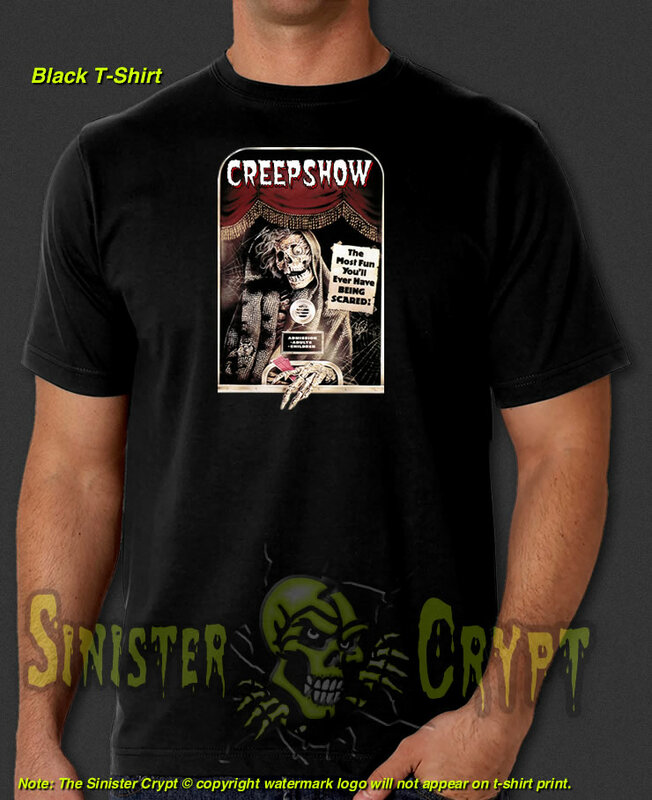 Creepshow Ticket Taker t-shirt. 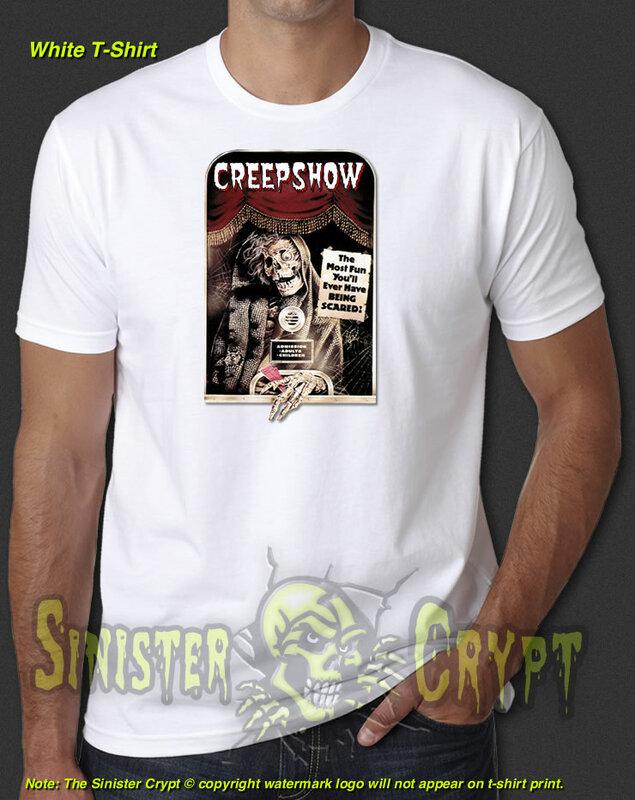 Creepshow is a 1982 horror anthology film directed by George A. Romero and written by Stephen King, making this film his screenwriting debut. Makes a great gift!